Two sick new tracks from Parisian DJ GOLDEN BUG. Both will fill up any Freestyle ElectroDisco Dancefloor without any problems. Dark Italo basslines, Crisp Synthesizers, Ghetto vibes and a Hip House Attitude. The fucked up Rick James-like Vocals on HORSES as well as the Japanese Cut-Up Rap on the Flipside will not get out of your head so fast! Made by Antoine Harispuru AKA Golden Bug from Paris. Part of Parisian ROVEDOGS DJ Squad, resident DJ at Parisian Club PARISPARIS and also regular DJ in Barcelona clubs where he currently lives and plays records with BABY G of L.S.B (ESKIMO Records). 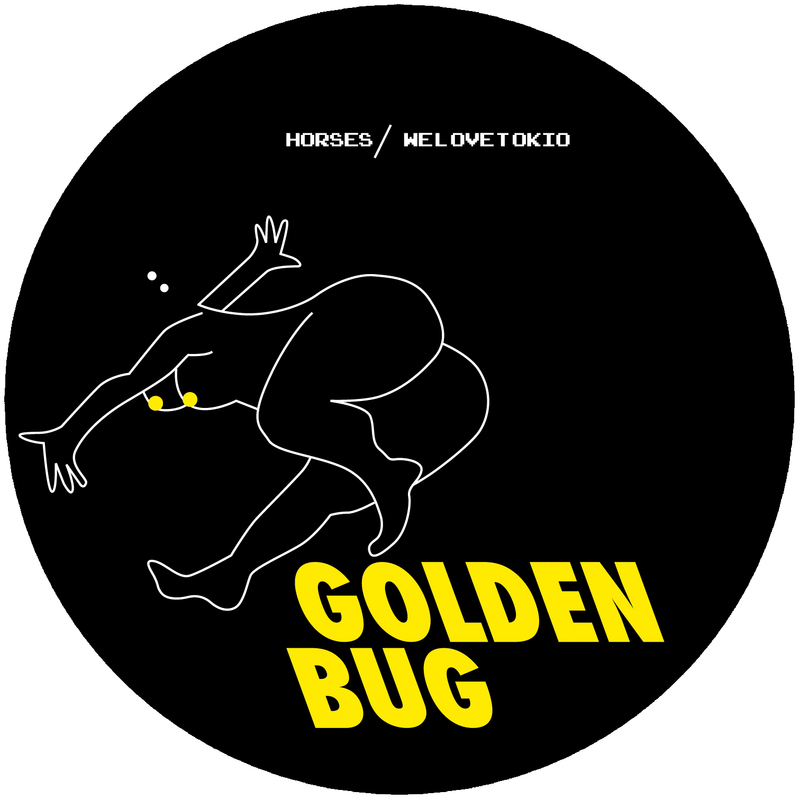 HORSES / WE LOVE TOKIO is Golden Bugs 2nd release. His first (“Barbie’s Back/ Disco Sensation”) released earlier this year got a huge blog buzz and great support from Prins Thomas to Jori Hulkkonen.